The first boat was built in 1965 in the company’s original factory in Newport Street in Plymouth; this boat was called the project 31. 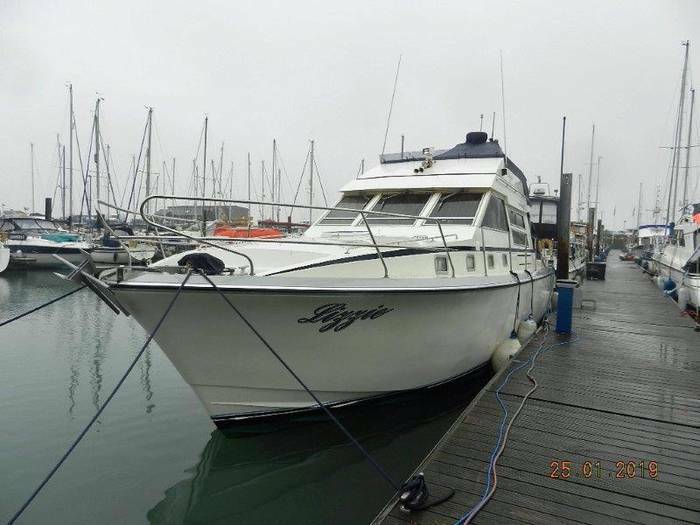 When the boat was sold further orders where placed and the decision was taken to fit out boats for sale. From this many different boat models where released and sold. 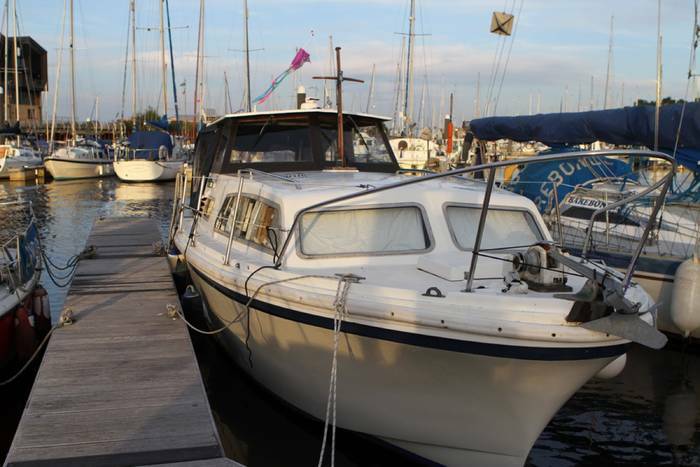 In 1980 Bernard Olesinski designed his first princess which was to be the Princess 30DS. This was the beginning of a great design, which Princess continues to use to this present day. 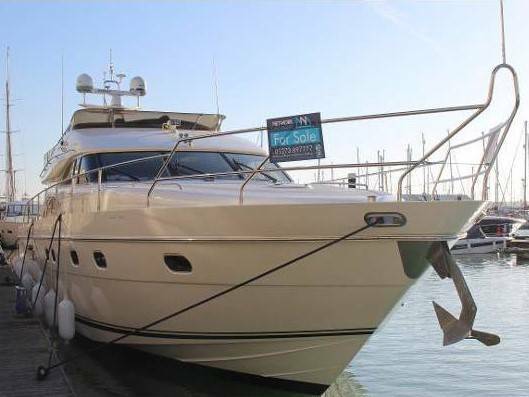 In 1982 the Princess 45 is designed by Olesinski and becomes the largest production moteryacht in the UK. The production of this boat increases from 12 to 36 boats per alum within the first four months of its launch. In 1988 the Marine Projects in Plymouth is awarded the Queens Export Award, from its great export success in the current years. In 1989 a new manufacturing area is built in Plymouth called Language 1. In 1994 the first V class Sports Yachts are developed. In 1997 their new headquarters at Newport Street are opened. Also at Marine Projects they purchase a new site Coypool. An extension is also added on to Language 1 to create Language 2 for the increasing Sports yachts range. Also in 1997 Princess releases the first electronic diesel engine in Europe. In 2002 further extensions are built onto Newport Street and Coypool. 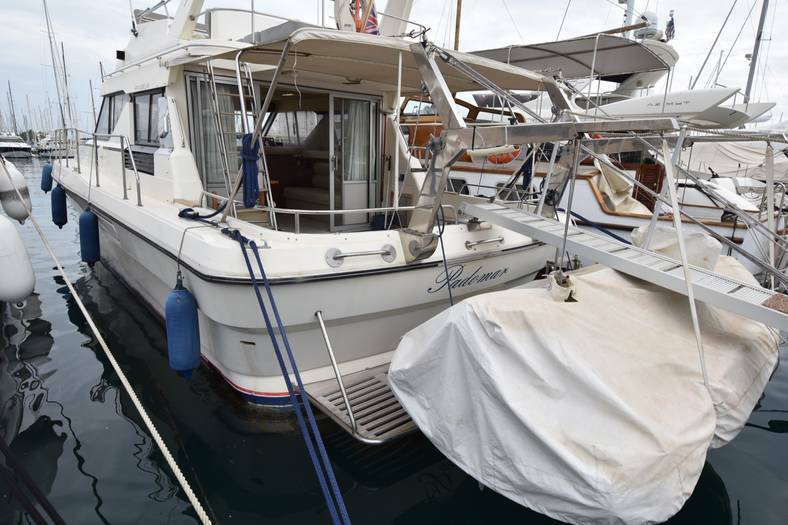 In 2005 Princess celebrates its 40years and its exports now account for 90% of its sales. 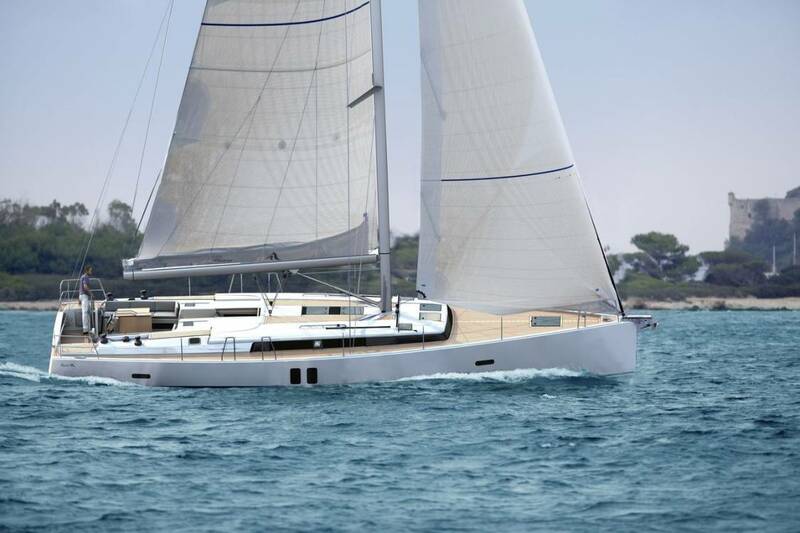 This V class Sport Yacht was developed in 2002. 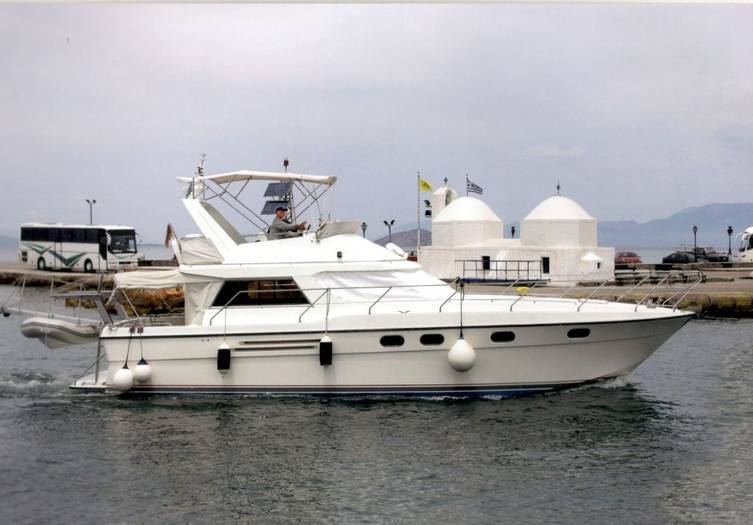 This yacht features 4 berths with a beam of 16’8’’ (5.08m) with two engines. It has beautifully crafted interior and each cabin features opening portholes with power points and air conditioning. The bathroom also features opening portholes with a fresh water Vacuflush toilet and holding tank. 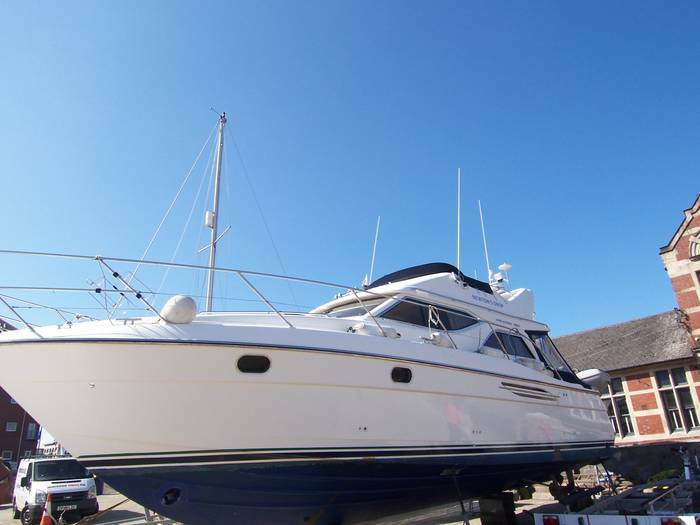 Other equipment within this boat is a bow thruster, battery charger, generator, air conditioning, fridge, and freezer. 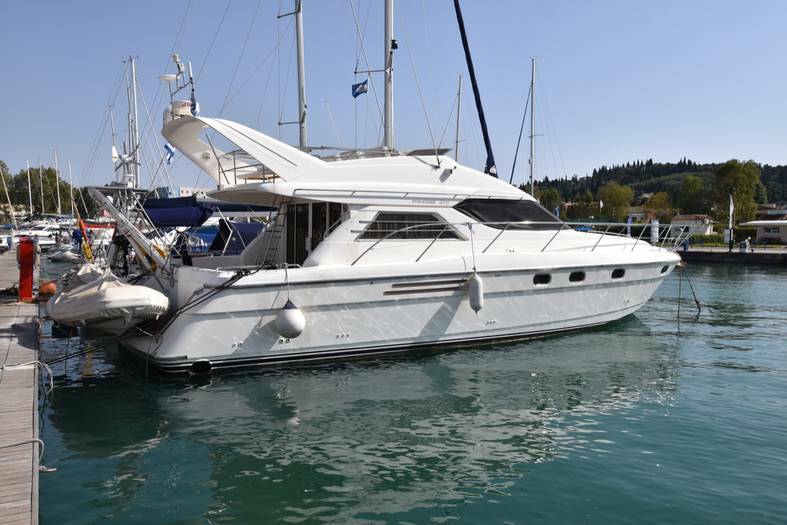 The engine is a MAN Diesel with a cruising speed of 27 knots and a maximum speed of 39 knots.